I'm signing Flynn's Log 1 and Flynn's Log 2 in Georgetown Colorado at a cool book store, Bierstadt Books & Beans. 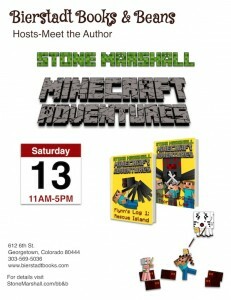 I'll be signing books from 11am to 5 pm on September 13, 2014. Come for the day. Lots of stuff is happening.